and monitor the SMP 3.0 Mobile Server. 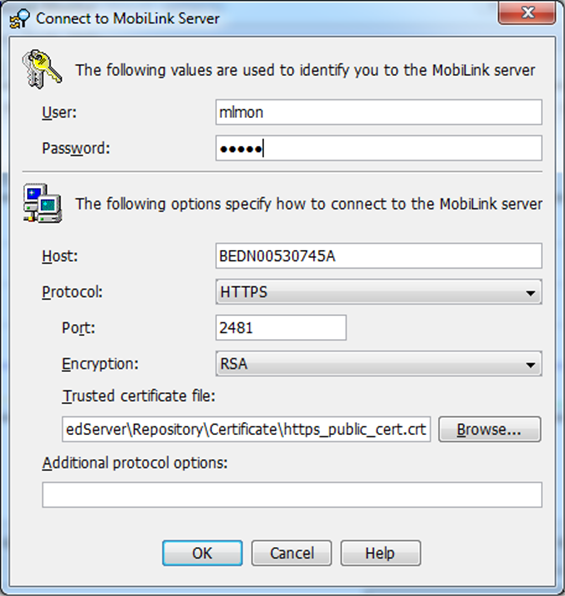 This technical document explains how to Configure and connect to the SUP server using MobiLink Monitor with and without a certificate. 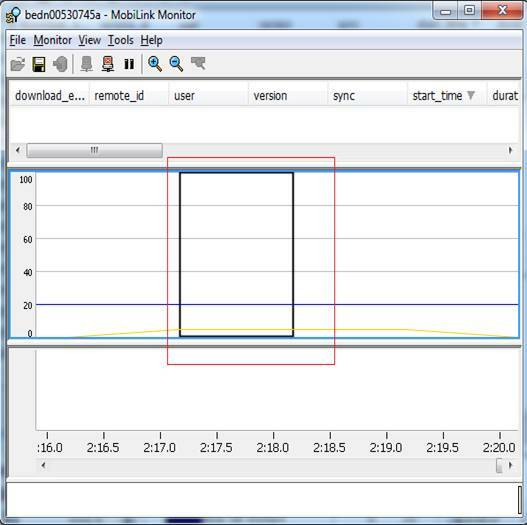 In order to monitor the replications process you need to add the mlmon user to the SUP Server. Run mluser -c “DSN=default-cdb;UID=dba;PWD=sql” -u mlmon -p mlmon. You should see the following screen below Figure1. at the command line type mlmon. The GUI screen for logging in will popup. Host is the name where the SUP is running. Port number is 2480 Unencrypted. 14. To test connecting with a certificate you need to do the following. 15. Change Protocol to HTTPS. 16 Change Port to 2481 Encrypted. 18. Click on the Browse button. 22. 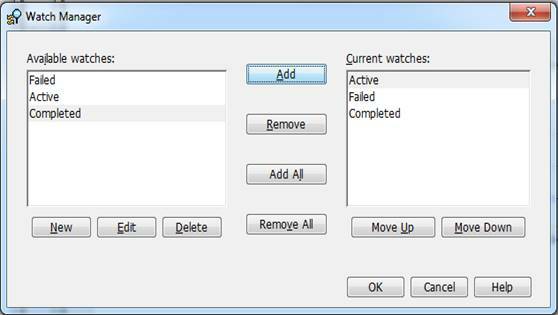 Click OK to start monitoring. 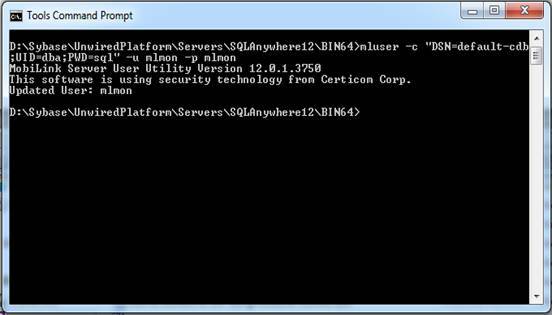 This concludes the steps needed to setup the mlmon users and connect using HTTP or HTTPS. User needs define the thread to monitor. In order to do that, you need to have completed the setup in the first part of this article. 23. 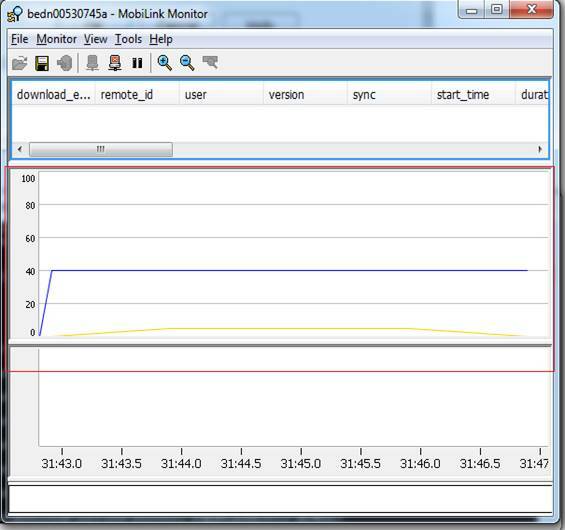 Start MobiLink Monitor utility. 24. Off the main menu select tools. 30. Go to Tools Menu Again. 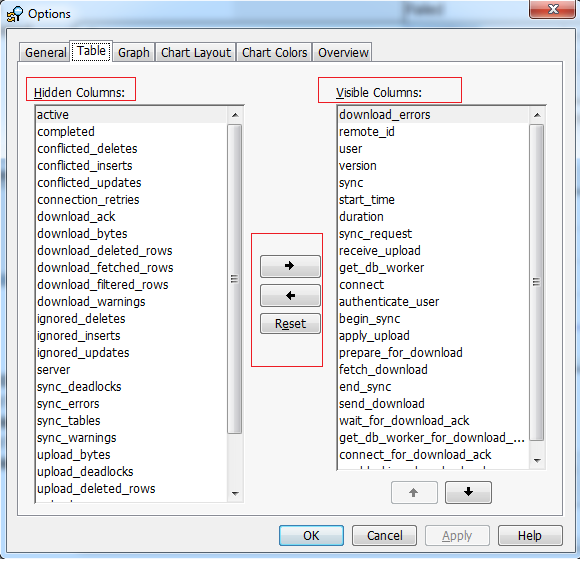 33..Make Visible or Hide Columns you want to view. 35. With MobiLink monitor running. 36. Double click on the monitors chart. 37. Select the Range Tab. 38. Click on Calculate Button. This concludes the steps needed to start the monitoring processes. 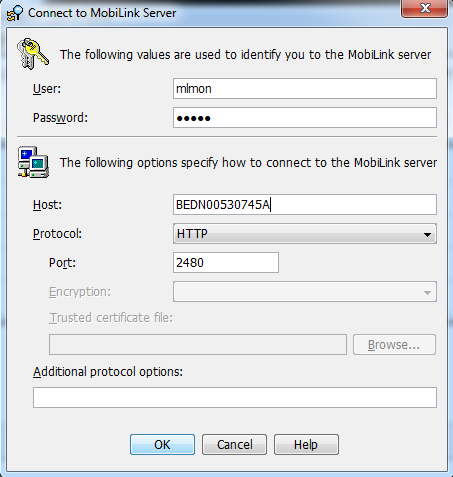 This document explained in details about the steps needed to setup MobiLink monitoring utility In addition we show you have to configure the HTTP and HTTP connection using the test Certificate that is shipped with Sybase Unwired Platform. 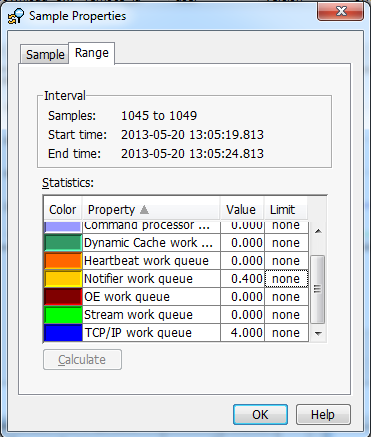 We also show you the flexibility you have in select and filtering the data you wish to monitor.